Yael Dayan, author, journalist and politician, was born in Nahalal, Israel’s first moshav (smallholders’ collective) in 1939, the daughter of Moshe Dayan and his wife Ruth. She studied international relations at the Hebrew University of Jerusalem and biology at the Open University. Yael Dayan was a Labor MK in the Knesset from 1992 until 2003; deputy mayor of Tel Aviv, and chair of the Tel Aviv city council. She is known for her activism for Israel-Palestinian peace, for minority, women’s and gay rights. For these, she was awarded the Bruno Kreisky Human Rights Award (1991) and the Olaf Palme Award for Peace (1998). 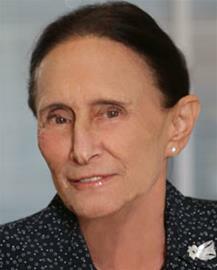 Dayan was also listed by the French weekly, L’Express, as one of “The 100 Women Who Make the World Move” (1995), and was honored by the State of the World Forum as one of the “Women Redefining Leadership” (1997). Most recently, she received the Ducci Foundation Peace Award (Italy, 2015). 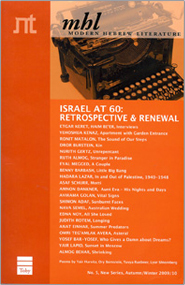 Dayan began writing for the press at age 16, and her first novel, New Face in the Mirror – written in English and published when she was 20 – won her international recognition. She has published nine books, including novels and non-fiction. Her previous book, My Father, His Daughter, was a great international success. Her books have appeared in 15 languages. Spanish: Buenos Aires, Candelabro, 196?